Many freelance writers—and some editors, too—see a pitch rejection as the end of the road: The editor doesn’t want this story, and that’s the end of it. And too often, that is the end. 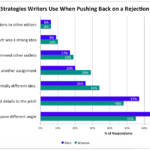 In a 2017 TON survey, about 37 percent of writers said that when their pitches are rejected, they typically just thank the editor and move on. But for editors who primarily work with freelancers, pitches that don’t land right are often just the beginning of a conversation about what might work instead. In fact, recognizing a good idea or a good writer, even if their pitch doesn’t work for you, can be the first step to finding a new contributor or an award-winning story. “As an editor, you’re really judged by your network of freelance writers,” says Laura Helmuth, the health, science, and environment editor at The Washington Post. And when it comes to building that network, unsuccessful pitches can be as important as successful pitches, she says. 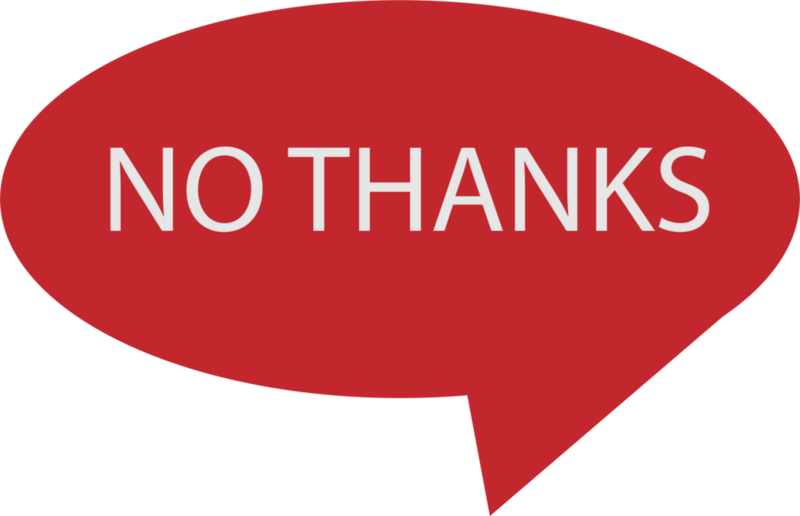 Being prompt, courteous, and honest are the keys to saying no gracefully. Few things frustrate freelance writers more than pitching a story only to have it languish unacknowledged in an editor’s inbox. Is the pitch even in the inbox? Did it go to spam? Does the editor work there anymore? How soon is too soon to nudge? What’s the right way to nudge? Such questions gnaw at freelancers. “There’s nothing worse than not hearing back from an editor, especially on a timely story that you want to place somewhere before it becomes no-longer-timely,” says Krista Langlois, a Colorado-based freelance journalist who has written for Smithsonian, High Country News, Hakai Magazine, and other outlets. 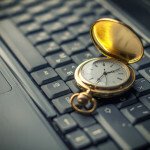 Often, though, finding the time to do even that can seem overwhelming. The first hurdle most editors face in handling rejections well is just the sheer volume of email they deal with. Some editors say they receive hundreds of emails a day, and freelance pitches get mixed in with press releases, PR pitches (often crafted to mimic what a writer might send), and other business. “An editor’s inbox is a dumpster fire,” Helmuth says. Managing that dumpster fire is one of the primary skills an editor must cultivate. Nothing will stop the tide of incoming email, but having a rock-solid system for organizing email is key. Many editors find that it helps to label pitches as they come in, then sort them into folders according to whether they’ve been accepted, rejected, or are under consideration. Using plugins like Boomerang for Gmail that will boost an email to the top of your inbox on a schedule can help, too, as can setting calendar reminders to respond to a particular pitch or to comb your inbox for orphaned pitches. Include the words “Freelancer Pitch” in your subject line, to distinguish it from press releases and PR pitches. If your pitch is time-sensitive, say so in the subject line. Avoid all caps, emojis, and unnatural punctuation, which are hallmarks of PR pitches. Pitch only one idea per email; avoid sending a barrage of ideas in a single message unless you have reason to believe that specific editor welcomes such pitches. Follow up (via email) if you don’t hear back, within a few days for a newsier idea or within two weeks for a more evergreen piece. 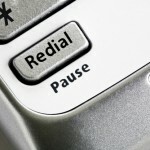 It’s also key to avoid procrastinating, responding to pitches as they come in whenever possible. Dean Visser, news editor at Scientific American, says he tries to not let a pitch go unacknowledged for more than a few hours, although he makes an exception for pitches that come in late on Friday afternoons. Still, he says he still has room to grow when it comes to time management, and he’d like to process pitches more quickly. Editors considering pitches for longer stories tend to operate on a longer timeline. In those cases, an editor might set aside an hour or two once or twice a week to go through and accept, reject, or request more information on pitches, as well as to follow up on ongoing pitch conversations. Even the best organizational schemes can disintegrate, though—especially after a vacation or a long weekend, or when things are especially busy at the office. So when a pitch falls through the cracks, be honest and apologize. Another reason it can be difficult to act quickly on writers’ queries is that many pitches don’t call for an outright acceptance or rejection. Editors often need to obtain more information about the story topic or the writer’s experience and background—information they might obtain through some combination of revised pitches and their own research. They also often need to send pitches around to colleagues for review. That process can drag on for weeks or longer. Wudan Yan, a Seattle-based freelancer, says she’s often had months lapse between pitch and assignment on magazine stories, with multiple rounds of rereporting and revision; one took over a year to go from tentative pitch acceptance to official assignment. “This can go on indefinitely with magazine stories,” she says. For example, it’s often necessary to ask writers to do more reporting in order to flesh out a pitch. But unless an editor is reasonably sure they could accept the pitch if that additional reporting pans out, a prompt rejection may be better. And when deciding on a pitch requires corralling multiple decision-makers, giving fellow editors a deadline for submitting feedback helps prevent interminable slowdowns. Finally, it’s sometimes possible to offset some of the unpaid time a writer has spent developing a pitch—especially one that’s rejected after an extensive back-and-forth. After that kind of drawn-out and ultimately disappointing process, Hakai Magazine editor-in-chief Jude Isabella says she often gives a writer an assignment for a quick news piece. “If they really want to work with Hakai Magazine, it’s not that much to give them a 500-word news piece,” she says. Editors can also consider paying a story research fee when they ask for extensive rereporting. Do Editors Steal Freelancers’ Ideas? Among the thorniest questions around pitch rejections is the fear of idea theft. Many writers have seen a rejected story later appear in the same publication they pitched it to—sometimes written by staffers, sometimes by another freelancer. Writers frequently share suspicions that a publication has poached their ideas, warning others to steer clear. Not surprisingly, the result is greater distrust of the pitching process, says Lyndsey Gilpin, editor-in-chief of Southerly magazine and a freelance writer who covers environment and communities in the South. Looking back on that situation, Gilpin says, she doesn’t think the publication actually stole her story idea. At the time she pitched, the outlet was focused on national stories and on stories based in New York, Los Angeles, and Washington, DC, while her story focused on the South. When the publication’s editorial focus broadened, her idea seemed more appealing and they sent a staffer to do it. Still, she can’t be sure what role her pitch played in sparking that idea. As a freelancer, she says, she has heard often about the risk of pitches being stolen. But now that she’s in the position to review pitches for Southerly, Gilpin says it’s easy to see how a pitch can get lost or the origin for a story idea forgotten, although she thinks it’s important for editors to be extremely careful to prevent that. Editors I spoke with unanimously condemned the practice of stealing freelancers’ story ideas—and they believe it rarely happens. What they do see often, they say, is multiple pitches on the same topic, sometimes even with eerily similar angles or source lists. Over the course of just a few months when I was deputy editor at High Country News, I received multiple pitches on grizzly-human conflicts in the same basin in Montana that cited the same news and proposed talking to overlapping lists of experts. If an editor receives multiple pitches for the same story, they almost always have to pick just one. Being up front when pitches overlap can prevent misunderstandings. Visser says that when he’s assigning stories on embargoed studies or breaking news at Scientific American, he tries to keep it fair by just taking the first pitch he receives on a subject. 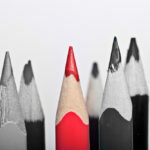 If different writers suggest different approaches to the same topic, he says, the editors pick the one they find most interesting. Visser also lets writers know if the magazine already has something similar to what they pitched in the works. Of course, it’s not always possible to accept the first pitch that comes in on a given topic. 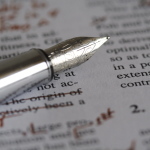 Ultimately, editors have to choose the stories that best suit their publication, relying on their judgment about whether a writer is up to the task and whether the time is right to undertake a given story. 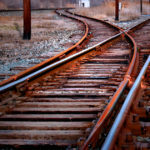 Rejections are particularly tricky for stories with evergreen subject matter or slow-developing news, and at publications with long lead times and few slots. Chrissie Giles, editor of Mosaic, says she and her fellow editors often watch a topic for a long time before commissioning a piece, and may receive a number of strong pitches on the subject before they’re ready to say yes. In that case, she tells writers, “We really like this topic and we’ve been thinking about it a lot.” She might explain what the editors are interested in and direct writers to the magazine’s pitching guidelines, to help them develop a more successful pitch. When a pitch’s topic fits with a publication’s priorities but the angle or writer’s chops are lacking, Helmuth recommends telling writers, “We are keeping an eye on this subject, but this story isn’t quite a fit for us at this time.” Such an approach also signals to writers that they may see a similar story coming out in the future. It’s also courteous, when possible, to suggest other outlets that might be interested in the pitch, she suggests. Finally, it’s a good idea for editors to be transparent about the publication’s decision-making process, either via emails or on a pitch guidelines page. That can include explaining that different departments have independent review processes (a frequent reason for what can look like idea theft) and even mentioning that the publication receives lots of pitches on certain topics. When your inbox is on fire or you feel squeamish about telling a writer why you’re passing on their pitch, it’s tempting to lean on stock responses such as “This doesn’t meet our editorial needs at this time.” (I admit I’ve sometimes done so myself.) But those responses offer no clues about what an editor is looking for. One consequence is that writers who receive this type of rejection are unlikely to send future pitches that are more on target. And that’s if they pitch again at all—they might not, which means your publication may miss out on valuable stories. It’s not necessary to offer detailed justifications for rejecting pitches or to get into a lengthy back-and-forth about rejected pitches. But even a sentence or two of explanation can make a rejection more personal. It also opens a door for a writer to repitch a better angle or offer information that addresses an editor’s concerns, to the benefit of both the writer and the publication. For that reason, editors benefit from being honest about their reasons for rejecting. If a pitch doesn’t meet your needs but you’d like to encourage a writer to keep pitching, you might point out what thematic or stylistic elements made the pitch not work. Langlois points to a rejection she once received, which said: “Hi Krista, Thanks for reaching out! I’ll definitely add you to my [freelancer] list. Feel free to pitch stories too. I’m interested in expanding our coverage of [Y] and [Z]. Unfortunately, things about [X] can be a tough sell for our readers, and we’ve covered [X] a bit before, but please keep pitching!” It was short and simple, but she’s almost certain to pitch that editor again. For most editors, it’s hardest to tell writers why you’re rejecting their pitch if the reason is that you’re not sure the writer can execute the piece. This is often the case, for example, when newer writers pitch ambitious ideas but don’t seem to have experience with stories of similar scope or complexity. One way to handle such situations is to explain that you don’t see evidence in their clips that they can take it on. This gives them a chance to respond with appropriate clips or build up the necessary portfolio. And if rejection is handled right by both parties, she says, it can be a positive experience, and part of an ongoing relationship, not the end of one. Kate Schimel is an editor and writer. 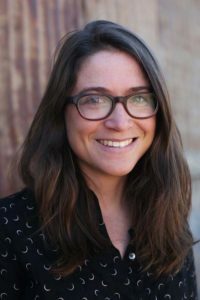 She currently works for Colorado Public Radio and was previously deputy editor at High Country News. Her writing has appeared in Grist, bioGraphic, and Mother Jones. Follow her on Twitter @kateschimel.